Calling All Sales Professionals! 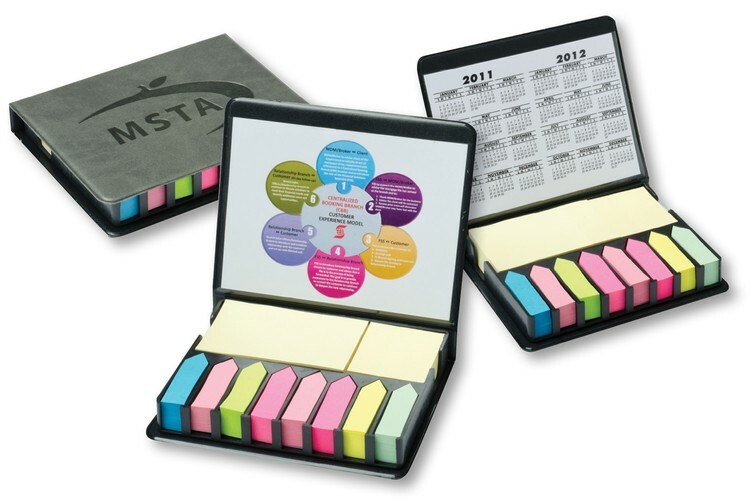 Look no further for a truly useful business gift! 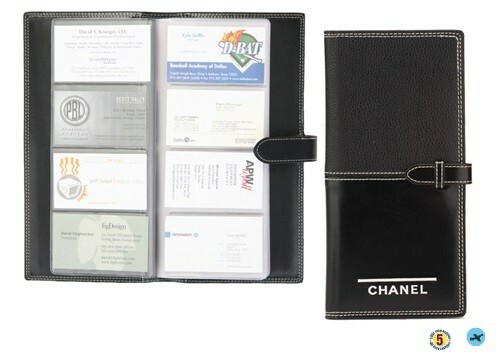 Our 48 card case is perfect for absolutely all business professionals. 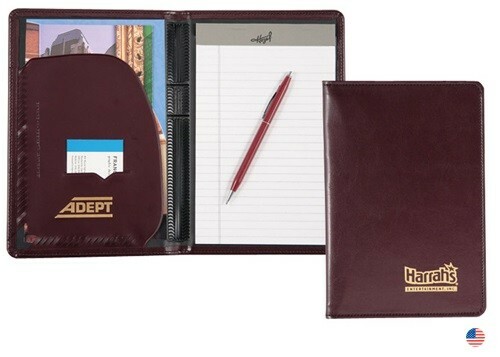 With a wide range of colors and vinyls to pick from, this must-have accessory is sure to leave a professional impression of your company. 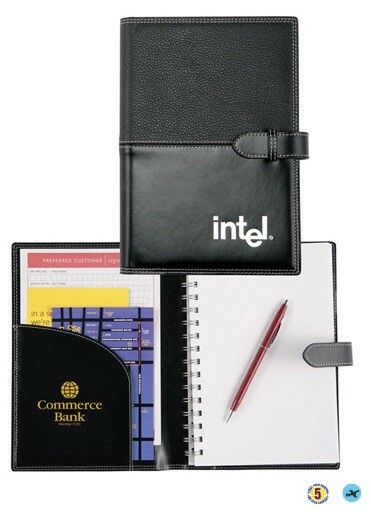 These cases easily tuck into your desk or briefcase providing easy organization of business cards and credit cards. 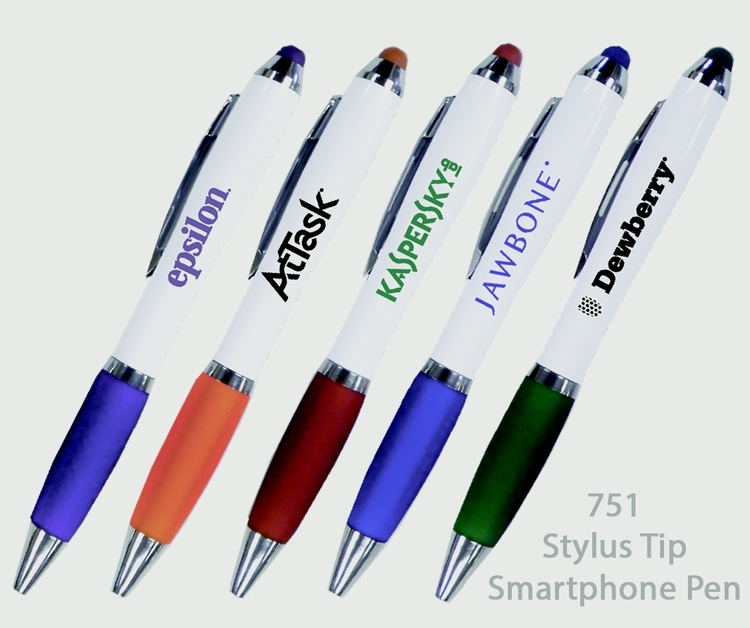 Smart phone & Tablet iTouch Ballpoint Pen, with comfort grip... Stylish and elegant, features a soft black tip on top to act as a stylus for use with smart phones, iPhones & iPads and tablets... Perfect for trade shows, sales visits and everyday office use... Eco friendly, made from 100% recyclable materials... Writes in black ink... Available in a variety of bright & fashionable colors as shown. Two-toned premium vinyl with wrapped tab closure, contrasting stitched construction. 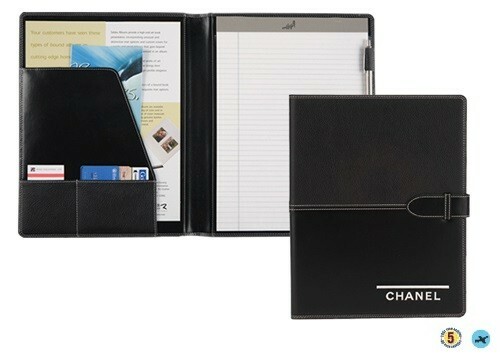 Organize this year in style, with a high-quality Daily Planner! When you get organized, nothing is impossible! You’ll cruise through your day with the help of our reliable Daily Planner. This Daily Planner sets the standard for the industry––quality-crafted and available with custom options! 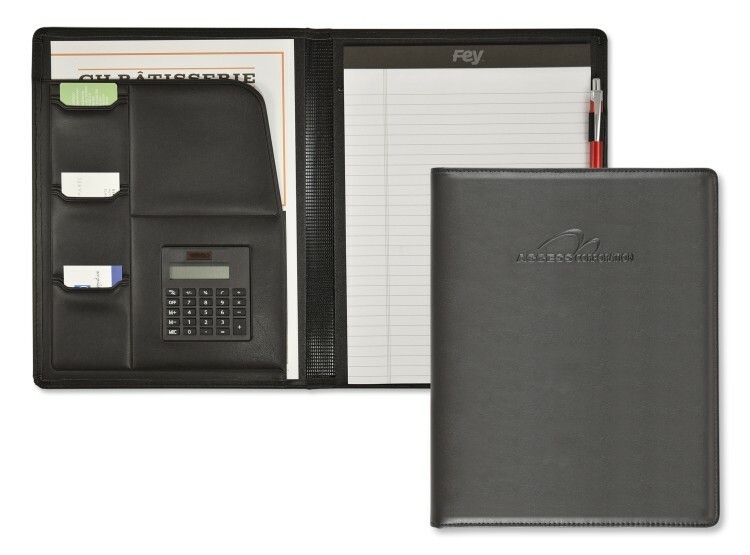 Traditional, economical, and available with special options that personalize your daily planner with creative flair. 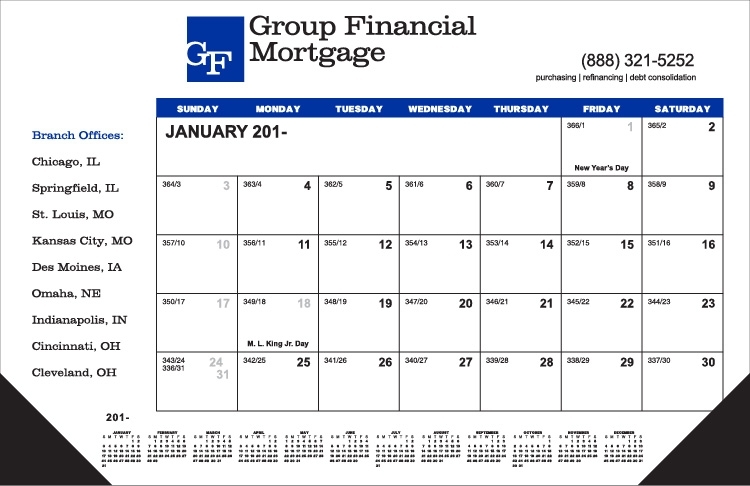 Choose to personalize your calendar with attention-grabbing extras such as Phantom Imprints or Holiday Greetings Sheets! 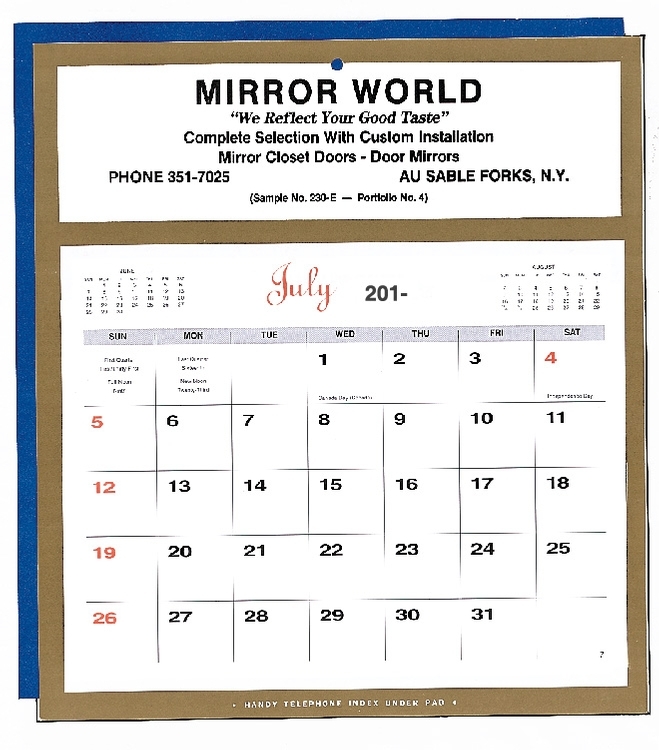 You can even add a magnetic strip and order refill pads and envelopes. 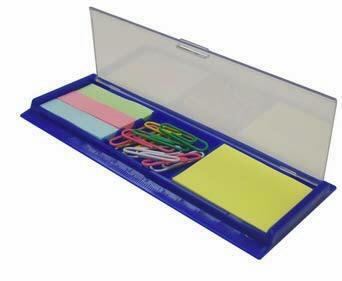 5.5" ruler with top compartment holding 10 paper clips, sticky note pad and sticky tabs. Two-toned premium vinyl, contrasting stitched construction, stitched interior pocket and wrapped tab closure. Pen loop and spiral bound lined writing pad. 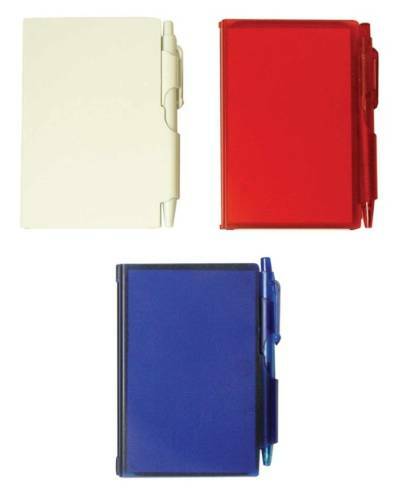 Magnetic Memo Clip with Pen holder and note holder all in one. 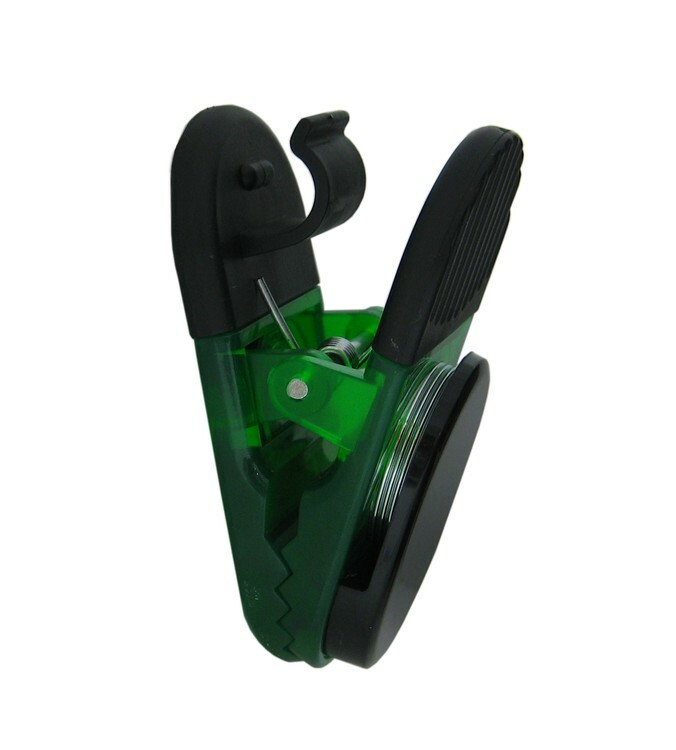 Rubber grip protects this jumbo clip against breaking when dropped. This item is a nice quality clip that your customer will keep around. European material cover (available in 27 colors), debossed on outside. 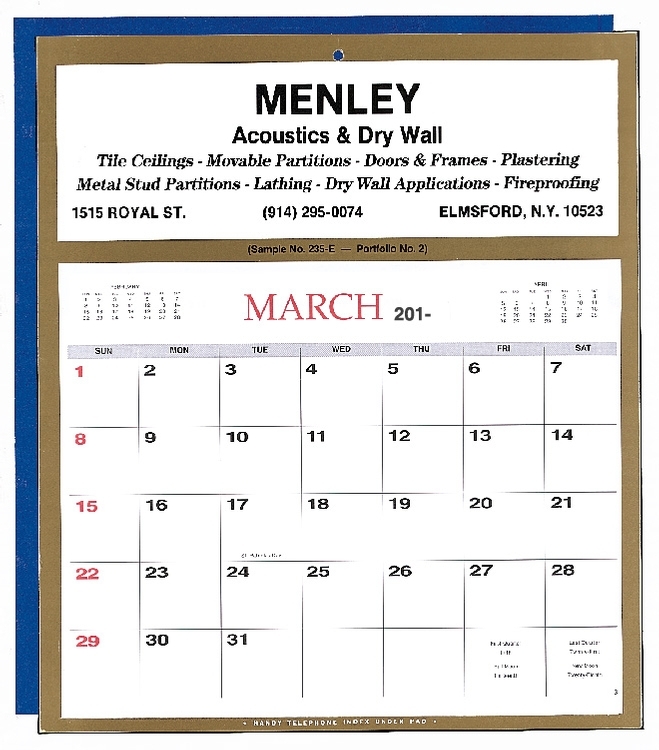 Includes a 2-year calendar. 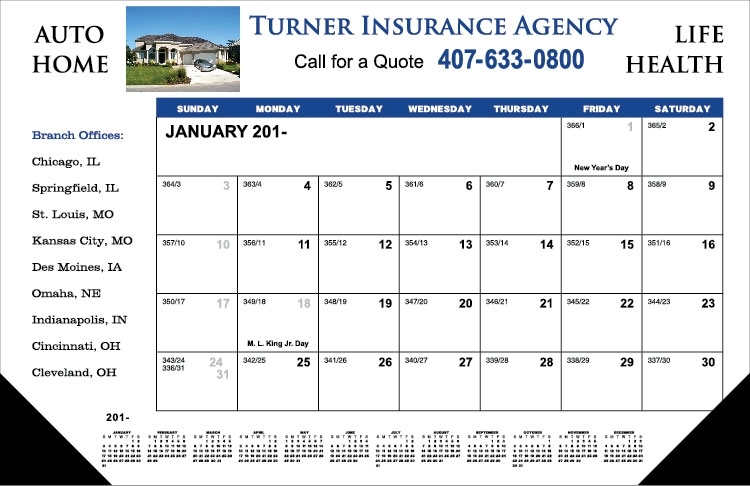 Optional full-color ad on inside cover is available. Shrink wrapped refilled trays are available. Tray includes 280 sticky notes (140 of 1.875” x 3” , 140 of 1.875” x 1.5”) and 1120 arrow sticky flags. 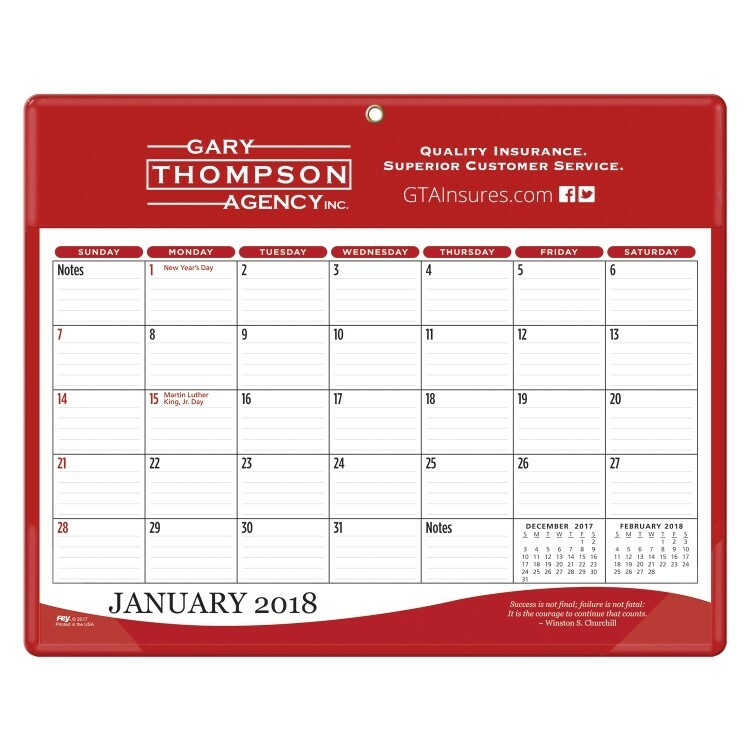 Convenient 17" x 11" size ~ Perfect for small work spaces or reception/appointment desks. 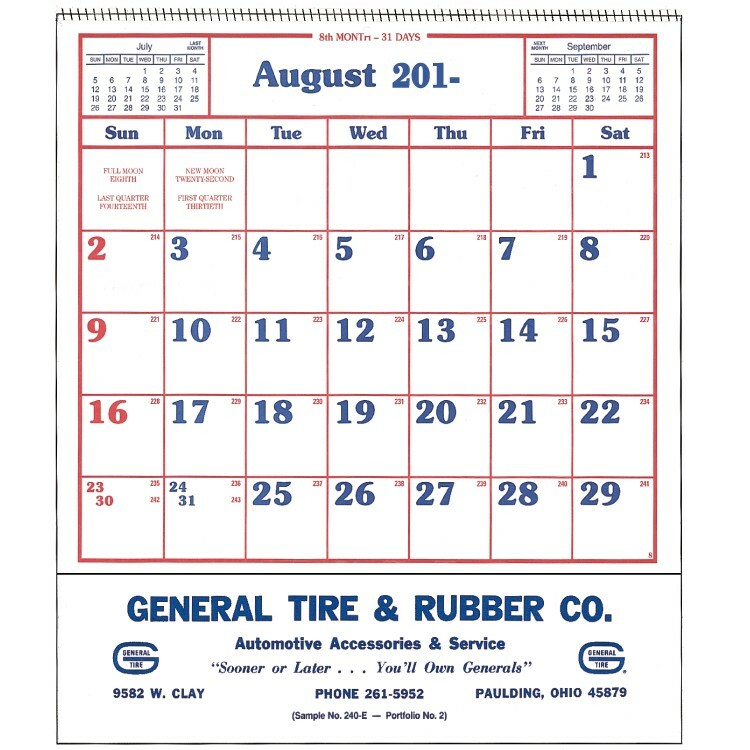 Calendar starts in August and runs through July. 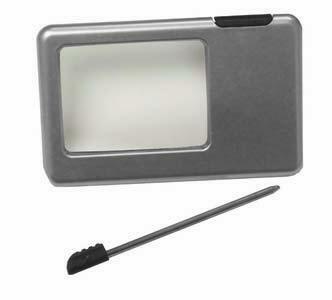 LED Credit Card Sized Magnifier / reader with stylus pen. Bright LED light illuminates the area magnified. Comes in individual bag ready for handouts. Great for Eye Clinics, Drs offices. Pharmacies, Senior Activities and more. Expanded vinyl with stitched construction, large flap pocket with two card pockets on top of flap. Office items stored under flap include two highlighters, pen, pencil, 3" x 3" sticky note pad, stapler, paper clips, battery-powered calculator and 6" ruler. 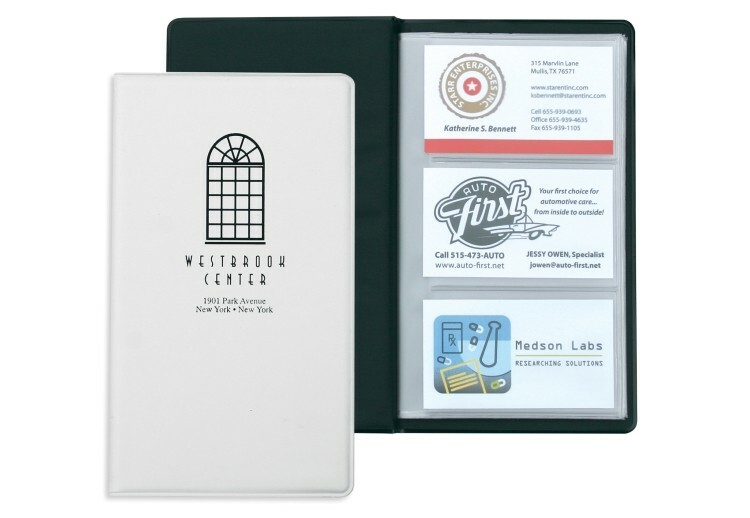 Notepad with translucent plastic case. Pen slides into the holder to keep the jotter closed. 80 pages of plain paper. Two toned premium vinyl with wrapped tab closure and contrasting stitched construction. Stitched interior pocket with accessory pockets and pen loop with ruled writing pad. 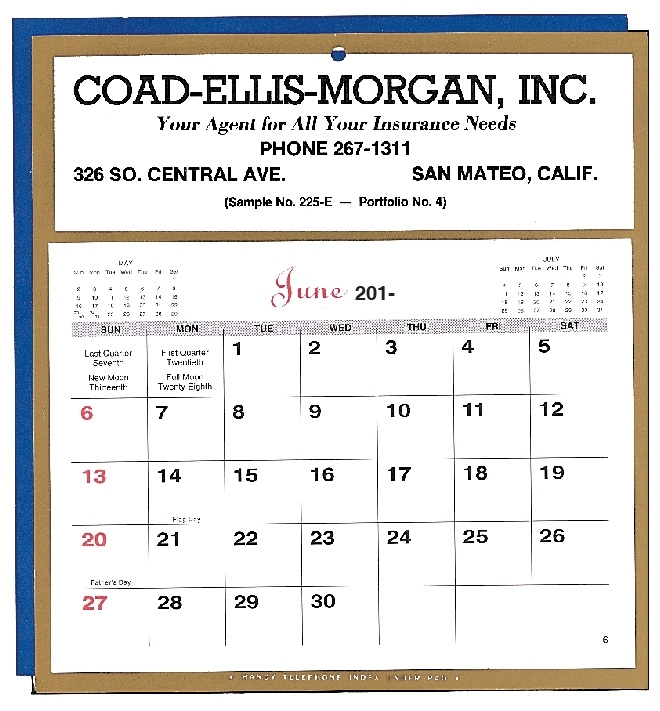 Convenient 17" x 11" size ~ Perfect for small work spaces or reception/appointment desks. 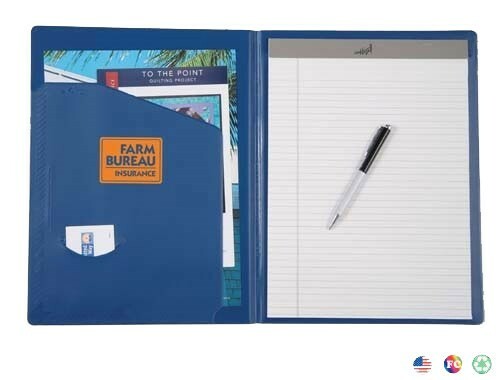 Expanded vinyl with stitched construction, patented Expand-A-Pocket with card slot, pen slot in spine and ruled writing pad. Calling All Sales Professionals! Look no further for a truly useful business gift! 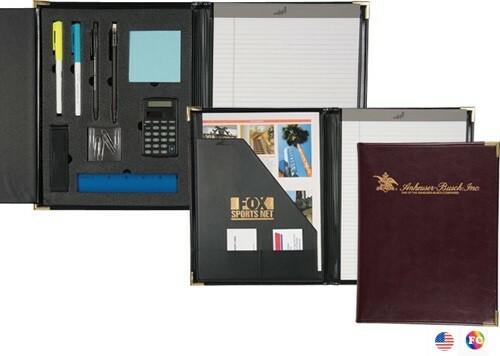 Our 72 card case is perfect for absolutely all business professionals. 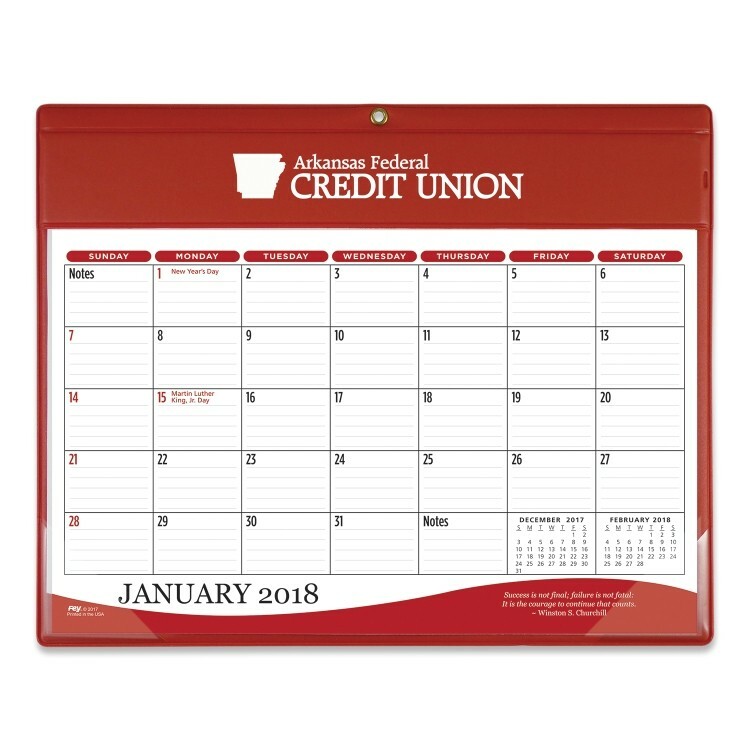 With a wide range of colors and vinyls to pick from, this must-have accessory is sure to leave a professional impression of your company. 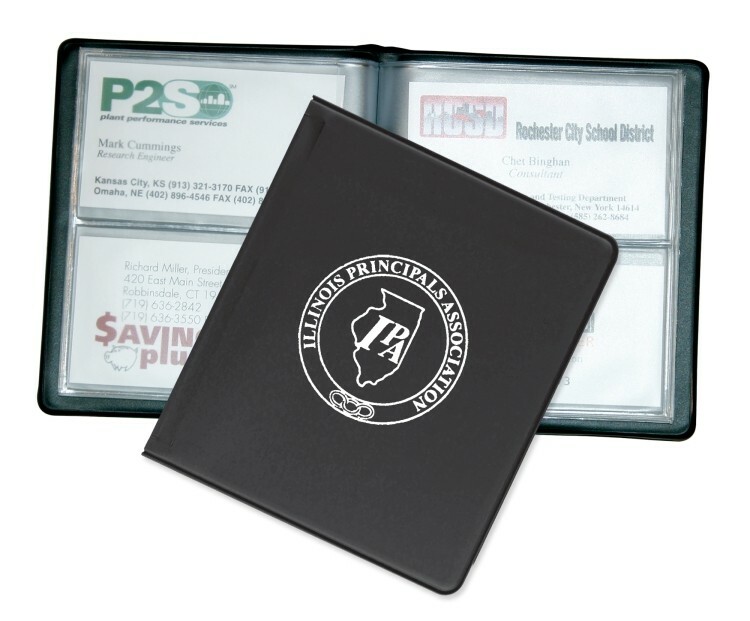 These cases easily tuck into your desk or briefcase providing easy organization of business cards and credit cards. Especially Designed with School in Mind! 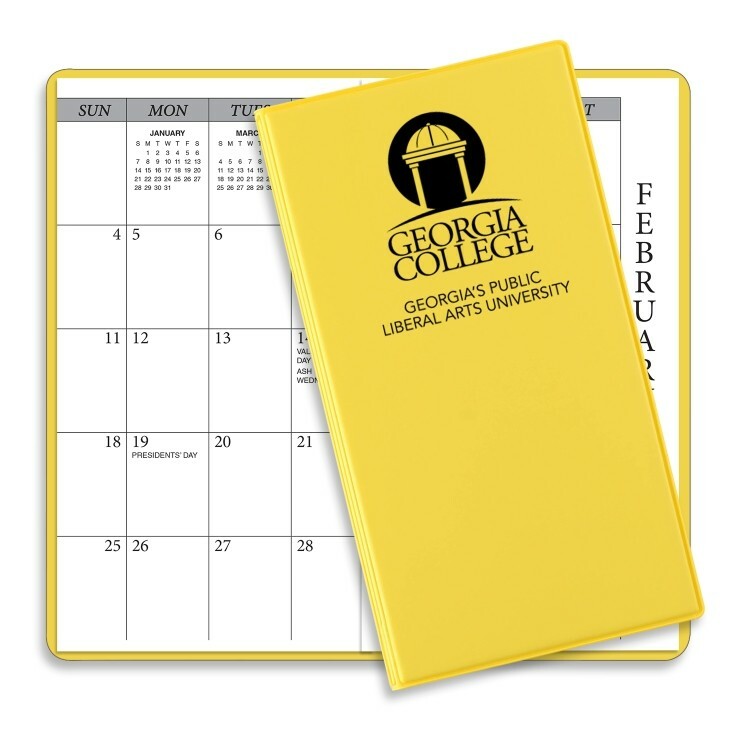 Our Academic Planner makes it easy to keep up with your kids' busy school schedule. 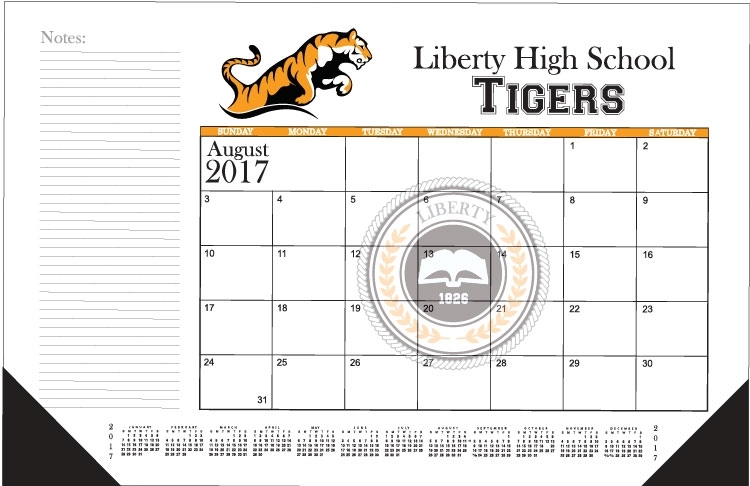 This planner features a 14-month academic calendar with pages for July through August of the following year. 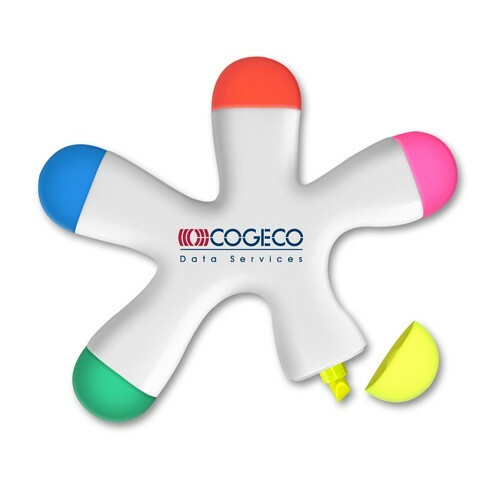 It's convenient, portable design is easy to use and easy to carry. No parent, student or faculty member should be without one! 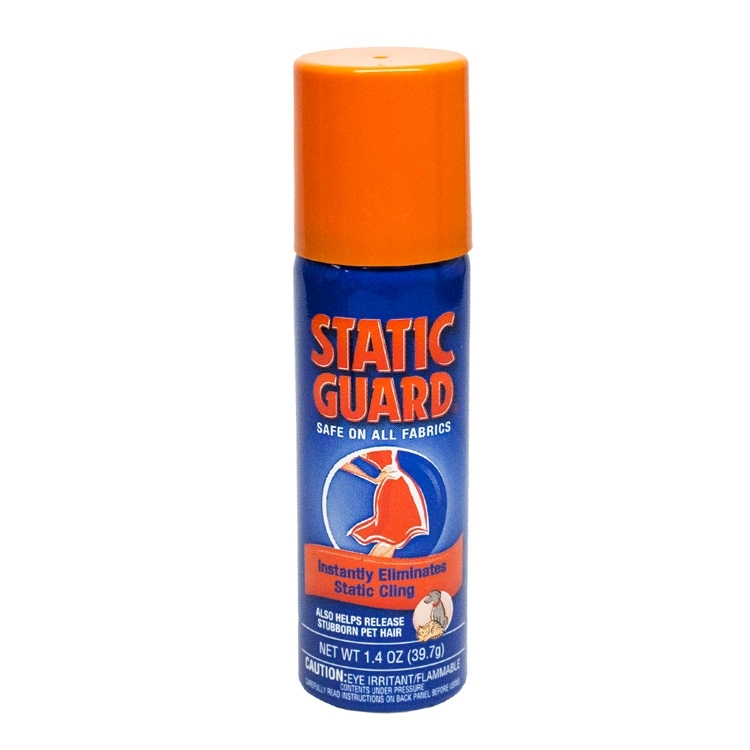 Static Guard Spray, 1.4 oz.